This project is to first scale up the sector’s knowledge of how to engage with LEI and then to develop public education around LEI. To make LEI work for communities it will first require the sector to have the skill set so that it can utilise the regulatory framework to use LEI. This First Stage is to develop the knowledge base of the sector by the provision of training/information, on-going support and in some cases supervision. This will be a national project, so by necessity will need to fully utilise new technology to provide the necessary capacity and reach. 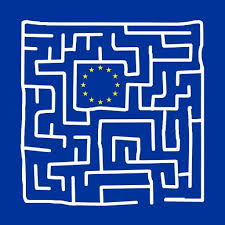 This Project seeks to fill the gap in the provision of legal education on European free movement of persons and citizenship rights. 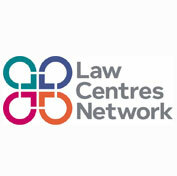 It will create a comprehensive digital resource that will act as a high quality legal training tool for first-tier organisations, which will both complement in person training sessions and act as a stand-alone device. It will also increase capacity to respond to the needs of lawyers and first-tier organisations who request training. It will also collect direct evidence of the needs of first-tier client organisations, which will ensure the sustainability of the training project in subsequent years. 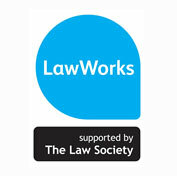 To expand and enhance the delivery of Prisoners' Advice Services legal education activities for prisoners. This charity provides trained volunteers to people facing civil court proceedings without legal representation. The funding will help the charity meet the growth in demand by migrating its IT and knowledge information systems so more lay people can better understand and use the law. The new portal will mean all volunteers will have an individual license so they can undertake self-directed learning anywhere. The improvements will include hiring a new manager to run the migrated system, formal reviews of the existing training programmes and providing additional training in new PSU locations and refresher training in existing locations. This project will work with a range of professionals, from designers to software developers and academics, to rethink how to provide a service that empowers individuals and gives them access to justice. Research has shown that for the most vulnerable, problems often arise in clusters, and these groups of problems have similar characteristics – homelessness is often a result of family breakdown, employment issues and problems with benefits, for example. Methodologies such as ‘collective impact’ will inform the new programme of delivery: this approach identifies shared objectives among all the organisations working to tackle a specific problem, monitors data against these, and openly shares information to better work together on behalf of the individual. This is a five year project and the Foundation funding will help with the development phase of the project. how the law works in everyday situations outside the courtrooms to help improve people’s lives and interactions with the state/public officials. This is a national organisation that aims to generate, promote and sustain voluntary and community action which improves the status of women. 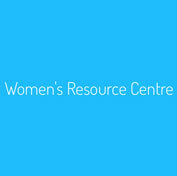 The grant will fund a project including website and training tools that aim to: educate women’s organisations on current equalities and human rights legislation enabling them to use the legislation to challenge public sector decision making or improve help to user access of services and support; and to raise public and women’s sector awareness of how to implement the spirit of equalities legislation in service delivery, so creating a fairer more equitable society. 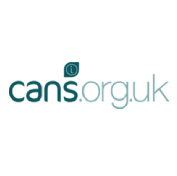 Cans delivers up-to-date legal information on British and European law. Relevant and updated daily, this is a complete legal resource for anyone with a question about the rights and responsibilities associated with living, working or engaging in life in Britain. This project will create a central and single online portal for the London Libraries Consortium to jointly access this information and will help with training delivered to library authorities to ensure that reference libraries are available to the public in a useful and informative way.